Tillie Theresa VanEffen, age 90, of Gladstone, passed away peacefully, Monday, April 8, 2019 at Christian Park Healthcare Center in Escanaba. Tillie was born May 15, 1928, the daughter of William and Theresa (Sirola) Srock. Tillie graduated from Gladstone High School in 1946. After graduating, she worked in Ann Arbor and when she returned home she married Roy VanEffen on May 31, 1947. Together they had three children, Gail (VanEffen) Egner, Mick and David VanEffen. Tillie was very active with ARC and served on the board at Lakestate Industries for 15 years, retiring in 1987. 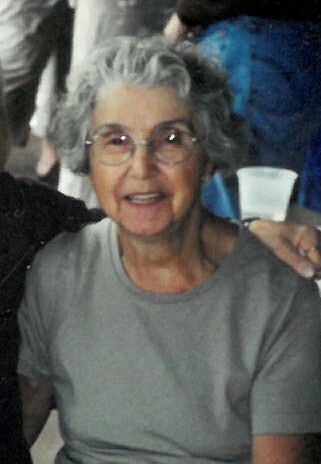 She was an avid Packer and Detroit Tiger fan and loved the outdoors. Grandchildren: Jim (Melissa) Egner, Michelle (Scott) Rausch, Jessica (Jim) Schilling, Melanie Egner, Jared VanEffen, and Shelly (Jesse) Norden. Great Grandchildren: Makayla and Kaleb VanEffen, Anthony, Ethan, and Hayley Norden, Taylar and Kyle Egner, Kayla Doll, Mackenzie and Trennan Rausch. Brothers: Stanley (Jocko) Srock, Rudolph Srock, and infant Brother WIlliam. Sisters: Mary Boyer and Francis Reed. Family will receive friends Friday, April 12, 2019 from 4:00 until 6:00 PM at the Skradski Funeral Home in Gladstone. Mass of Christian Burial is scheduled for Saturday, April 13, 2019 at 10:00 AM with a luncheon to follow at St. Anthony of Padua Catholic Church in Wells with Rev. Fr. Rick Courier officiating. The Skradski Family Funeral Homes of Delta County are assisting the VanEffen family. Hello Gail and Mick and especially to your Father, Mom and I would like to express our sincere sympathy to your entire family. We hope to see you this afternoon providing Mom is up to it. She says so now and extremely determined to make it to the funeral home, but if she can’t . (has a DR.s appointment earlier today). Gail could you give me your address so we can send you a card? not in my email can’t get into it lately. Could you call me at 553 7219? My Mom would be extremely upset if she couldn’t contact you about her dear childhood friends passing .. Love to you and all your family in this sad sad time.